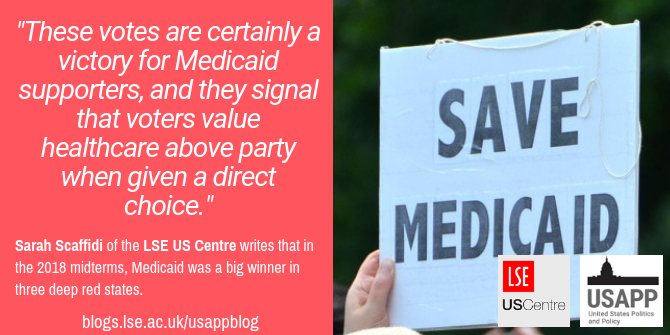 In this year’s midterm elections, not only did the Democratic Party retake the US House of Representatives, voters in three red states – Utah, Nebraska and Idaho – approved the expansion of Medicaid via ballot measures. In the 2018 midterm election, voters in Idaho, Nebraska and Utah went to the polls and decided to expand Medicaid, making federal health insurance available to thousands more in each state. Medicaid expansion is a key component of Democratic President Obama’s signature achievement, the Affordable Care Act (ACA), yet all three states are heavily Republican, a party whose members have railed against the ACA since its inception. So what happened? Heading into last week’s midterm elections, roughly three quarters of registered voters named healthcare as being very important to their vote. This concern is the culmination of nearly a decade of partisan wrangling over healthcare. For the majority of President Obama’s two terms in office, congressional Republicans were strongly and vocally opposed to his efforts to overhaul the US healthcare system. Many attribute the Republican takeover of the House of Representatives in the 2010 elections, the first midterm election under Obama’s leadership, as a rebuke of Democratic attempts to reform healthcare. So when Republicans took control of the White House, the House of Representatives, and the Senate in 2016, it seemed that the Affordable Care Act (the ACA, or Obamacare) would soon be repealed. But in the summer of 2017, Republicans began the secretive process of drafting a replacement healthcare bill without the input of any Democrats. They held no hearings and gave Democrats only hours to read the bill before being expected to vote on it. This contrasted starkly with the one year process with 79 committee hearings that eventually led to the ACA. Under the Republican health bill, 23 million Americans were set to lose health insurance. The bill was understandably unpopular, and protestors marched on Capitol Hill and flooded Republican Senators with calls asking them to vote against it. Though the bill did not pass, the public’s change of heart towards the ACA was carried into the midterms. What did the midterms mean for Medicaid? When the ACA passed through Congress back in 2010, it included a provision that would expand Medicaid, a federally funded health insurance program for low income Americans. 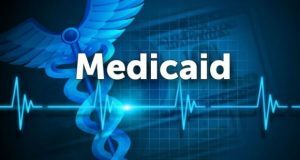 Medicaid was to be expanded to cover those up to 138 percent of the federal poverty level, and other federal funds would subsidize coverage for those above 138 percent and up to a higher limit. 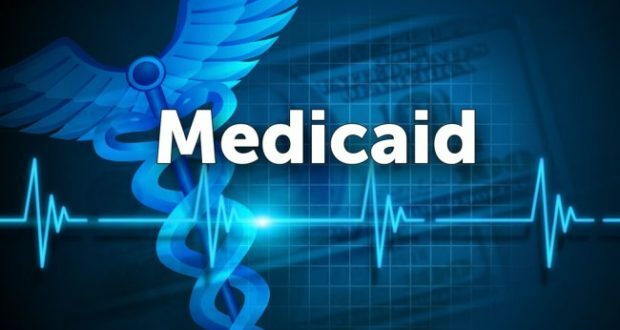 However, the Supreme Court ruled that it was illegal to force states to cover those between 100 percent and 138 percent of the poverty level under Medicaid, and that the states would have to choose whether or not to accept the federal funds for expansion. Heading into the midterms, 18 states had still elected not to accept the funds, creating a coverage gap for those whose incomes were too high to qualify for Medicaid yet not high enough to qualify for subsidized coverage. Some 22,000 people in Idaho, 16,000 in Nebraska and 46,000 in Utah fell into that coverage gap. On Election Day, that changed. Voters in Idaho (Proposition 2), Nebraska (Initiative 427) and Utah (Proposition 3) elected to do what their own state legislatures had until now declined to: expand coverage to people whose income levels are up to 138 percent of the Federal Poverty Line. In Idaho, an estimated 62,000 adults will gain coverage. Proposition 2, which was approved by a wide margin and has the support of the state’s Republican Governor Butch Otter, calls on Idaho to submit an expansion plan to the federal government within 90 days and implement it ‘as soon as practicable. In Utah, the Legislative Fiscal Analyst estimates that proposition 3 will extend Medicaid coverage to as many as 155,000 people. Those thousands will no longer need to rely on emergency rooms, and will have access to preventative care that is beneficial both to their health and the state’s budget and hospitals. These votes are certainly a victory for Medicaid supporters, and they signal that voters value healthcare above party when given a direct choice. But they are not the end of the Medicaid debate. In 2017, Maine voters approved Medicaid expansion in their state. This was supposed to take effect by July 2017, but Republican Governor Paul LePage was so adamantly opposed that he has delayed its implementation for over a year. Idaho faces a challenge as well – though the incoming governor pledged to respect the outcome of the ballot initiative, the conservative Idaho Freedom Foundation is suing the state over Medicaid expansion. Furthermore, there are still 15 states with coverage gaps, and the Trump administration shows no signs of ceasing their efforts to undermine the Affordable Care Act. So what does this mean for the future? The 2018 midterms were a resounding signal that voters value healthcare, and that they aren’t giving up on Medicaid.